the cut out pressure is a massive 50 psi, you choose by adjusting the flow rate at the shower head. 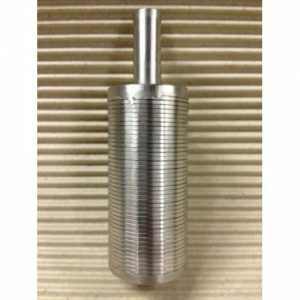 If you intend to use this product with a Glind heat exchanger, please let GLIND know at the time of ordering so the extra couplings can be added (at no cost) to the order. 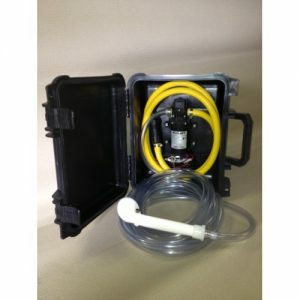 When you need a shower while camping 4WDing or boating, or need pressurised water in a camp kitchen, or need water to clean fish or wash the dog, or fill water containers or the water tank of your camper trailer, or hose out the boat when you’re on Fraser, this compact unit is built with top quality components including the super efficient and ultra reliable Flojet pressure pump, and it is all housed in a rugged tough case. 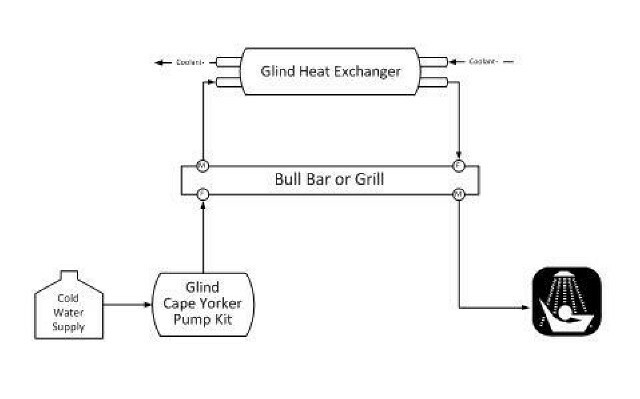 You can match the Cape Yorker with a Glind heat exchanger for hot water, or heat water in a drum over a fire or have a cold shower like we do in the tropics. 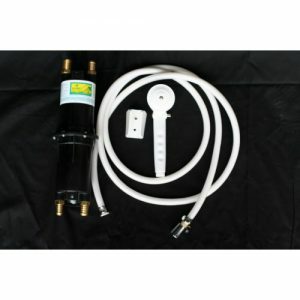 A Glind Sand Spear Filter is included so you can travel anywhere and draw water from the sandiest, saltiest of environments. It is perfectly suited to pumping from drums, buckets, jerry cans or on board water tanks, but the 11 l/min model has the grunt you need if you intend on pumping from rivers or creek. With awesome flow and pressure, the Glind Cape Yorker is one of the most reliable, toughest camping, boating or 4WDing accessories you can buy. we don’t built crap at Glind. Insert Glind Heat Exchanger into coolant feed line and secure. 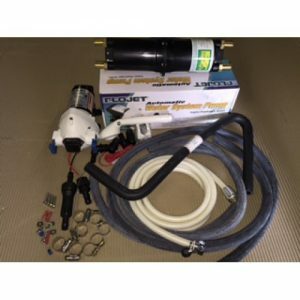 Ensure male connector is on the Glind Heat Exchanger freshwater feed side and the female on the shower outlet side.